Apollo 8 was the first mission that escaped the pull of the earth and set course to the moon. The year was 1968. A turbulent year. 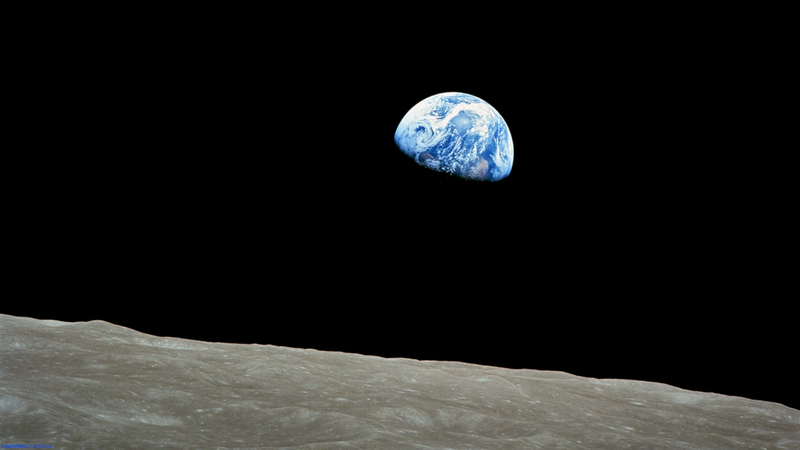 With the deaths of Martin Luther King Jr. and Bobby Kennedy, Students rioting around the world as well as an escalation of troops to Vietnam but with this mission it all changed and instead of seeing the year ending in remembering the troubles that beset the year we had Apollo 8 bringing hope that 1969 would be, somehow, better. Now after that brief history lesson let’s get to what I was meant to be talking about in this post. How you can be deceived by a simple change in an iconic image. Imaging a Russian flag being saluted by astronauts [I know they should be Cosmonauts but that doesn’t flow as well – ed] on the surface of the moon. Now with the invention of image manipulation software we can do it with our computer. With my experiment I took one of the most iconic images from the Apollo Program, The image that NASA calls AS8-14-2383. 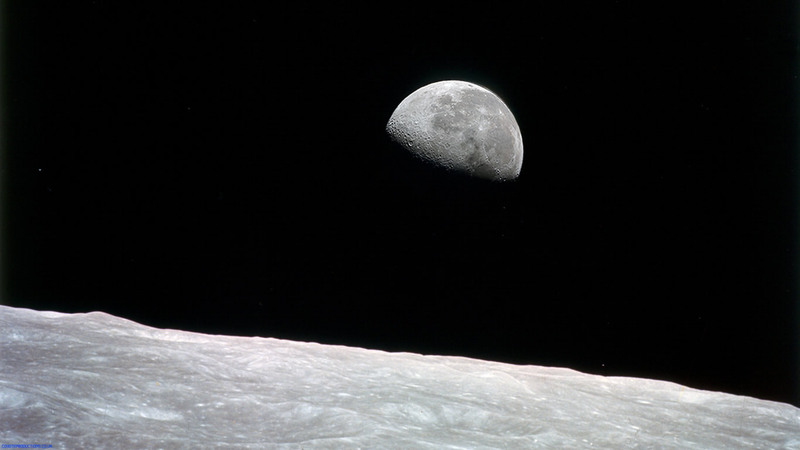 The rest of us call it by its more poetic name, Earthrise. So with that image as a start point I decided to fire up photoshop and do something subtle to the image. Just look at the next two images and you will see what I mean. You can download them and use them for your own computer’s desktop. Firstly I took the original image, rotated it 90 degrees to the more usual seen version of the image and cropped it to fit my laptop’s screen resolution [1366 by 768 if you want to know]. If this then kicks up a draft of ranting loonies going on about conspiracy theories, I will only say that I have already covered that in this post. Also, don’t show me images that “prove” your point of view unless they are the original NASA negatives.